Eizo has recently announced a cutting edge display dubbed as the Eizo ColorEdge Prominence CG3145, aimed at the high-end professionals; with a name like that, you know it’s meant for serious business. 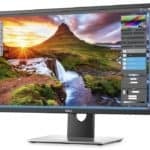 Featuring the true DCI-4K resolution of 4096×2160, 1,000 nits of typical brightness, 1,000,000:1 typical contrast ratio and a 10-bit color depth IPS panel with 98% of the DCI-P3 color gamut, the Eizo CG3145 promises the impeccable image quality for the professional HDR (High Dynamic Range) post-production work. It will be available sometime by the end of the year for an estimated price of over $5,000. Not only will the Eizo ColorEdge CG3145 PC monitor offer the state-of-the-art HDR image quality with a remarkable contrast ratio, Eizo claims that it will be the very first HDR monitor to surpass the common drawbacks of HDR including the ABL (Auto Brightness Limiter) and local dimming which partly limit the monitor’s ability to display bright scenes in order to prolong its lifespan. In order to deliver the flawless HDR visual experience, Eizo will work around these obstacles and allow the monitor to produce accurate colors and brightness in every pixel for the most precise display of both dark and bright content. Eizo hasn’t yet revealed how they managed to improve the HDR technology in this manner. In addition, the Eizo ColorEdge Prominence CG3145 IPS display will offer two gamma curvatures to be used for HDR video creation. The HLG (Hybrid Log-Gamma) is to be used for live TV broadcasting whereas the PQ (Perceptual Quantization) is ideal for movies and streaming due to the approximated light and color perception for the human visual system. Professional video creators will have the industry standard for HDR videos along with the true 10-bit color depth and 24-bit LUT. The Eizo ColorEdge Prominence CG3145 will also feature hardware calibration and Eizo’s ColorNavigator NX software for quality control and management, in addition to the color preset modes which can be used for custom calibration with optimal brightness, gamma, and white point parameters. Naturally, the IPS panel ensures the flawless 178-degree viewing angles and allows for the highly accurate colors that cover 98% of the DCI-P3 color gamut which amount to 80% of the Rec2020 color space. The response time speed is not yet revealed. 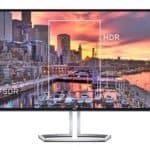 The screen size of 31.1-inch with the true 4K resolution results in a high pixel density of 149 pixels per inch which will evidently amount to an insanely detailed picture quality. Although the Eizo ColorEdge Prominence DCI-4K display shouldn’t even be considered as a gaming monitor due to the presumably low refresh rate, high price, and lack of the adaptive-sync, I’m still curious to see just how an HDR video game might look will all these crazy-high specs. Apart from the strikingly unattractive thick bezel, the design features of the Eizo ColorEdge Prominence CG3145 are unknown, although it will most likely have tilt, height adjustment, and pivot functions. The light shield hood will also be provided with the purchase which can be used for total elimination of any nuisances and allow the professionals to focus on work. The connector ports include two HDMI, two DisplayPorts, and three USB 3.0 ports. The assorted video formats for the ports include 10-bit 4:2:2 at 50/60p for HDMI and 10-bit 4:4:4 at 50/60p for DisplayPort. 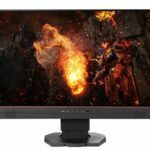 The Eizo ColorEdge Prominence CG3145 HDR monitor will be available for shipping in late 2017, the official price is unknown. However, considering the previous revolutionary Eizo monitor, the CG318-4K PC display which was priced at around $5,000 at the time of its release, we can expect the CG3145 to be somewhere along that price range, probably a bit more expensive. We will have more information about the monitor and its performance whenever we get hold of such info. Overall, the Eizo ColorEdge Prominence CG3145 promises to break ground with its cutting-edge HDR image quality that will surpass the imperfections of the common HDR monitors. 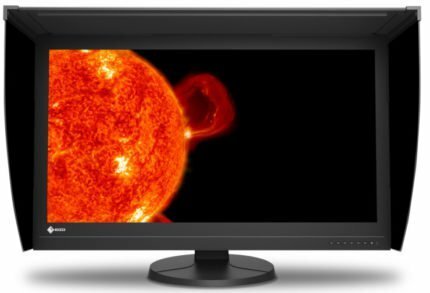 With its state-of-the-art technology, an incredibly high contrast ratio, and the absolute color accuracy, this revolutionary professional monitor will certainly outclass most of the other HDR monitors that are scheduled to be released this year. The Eizo ColorEdge Prominence CG3145 will offer the impeccable image quality with true DCI-4K resolution and HDR support which will make it the high-end professional monitor for numerous designers, video editors, and alike. With 1,000 nits of brightness, rich pixel density, 10-bit color IPS panel, and 1,000,000:1 typical contrast, the picture quality is going to be otherworldly.